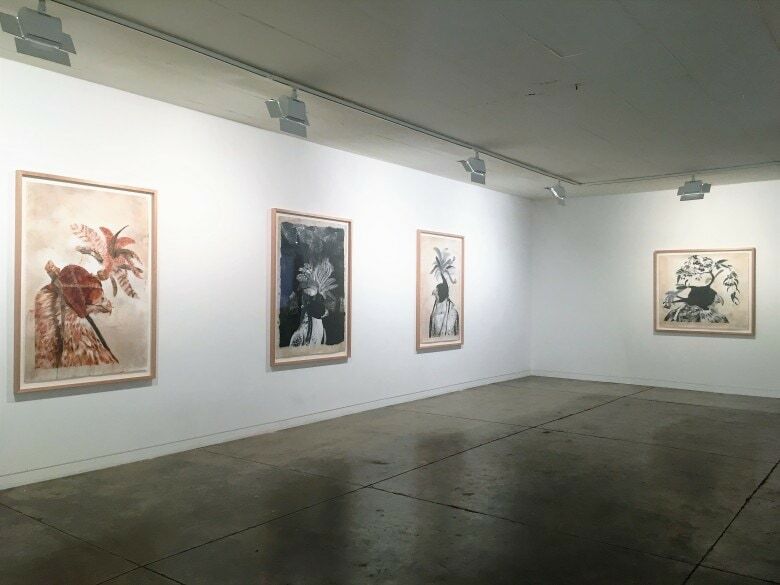 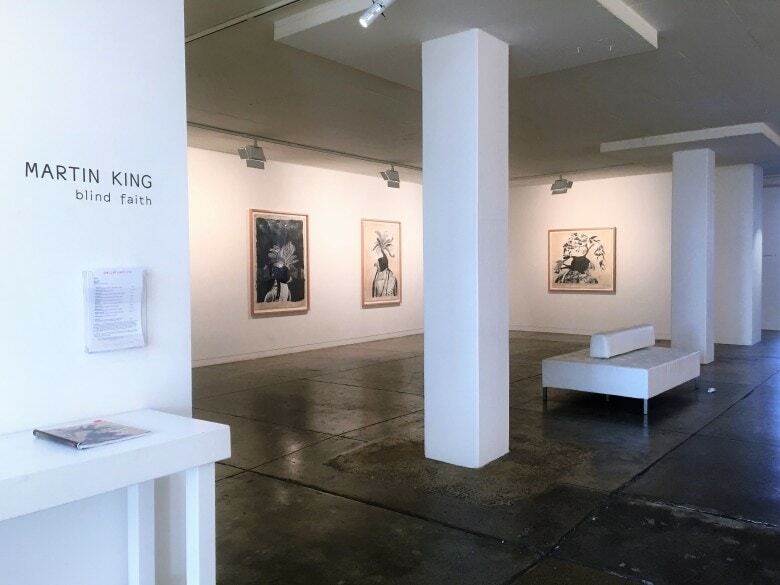 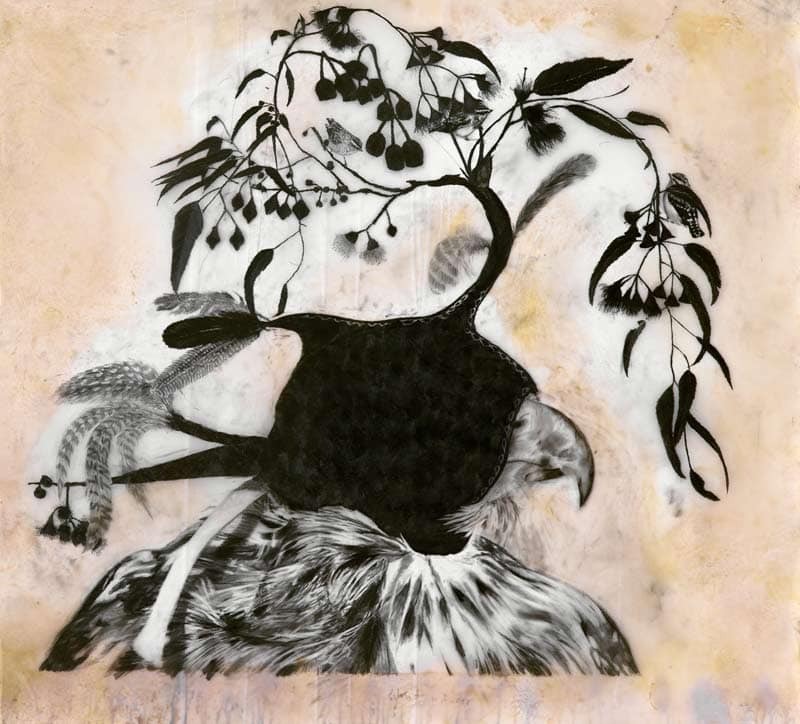 Blind Faith explores relationships that exist in the natural world. 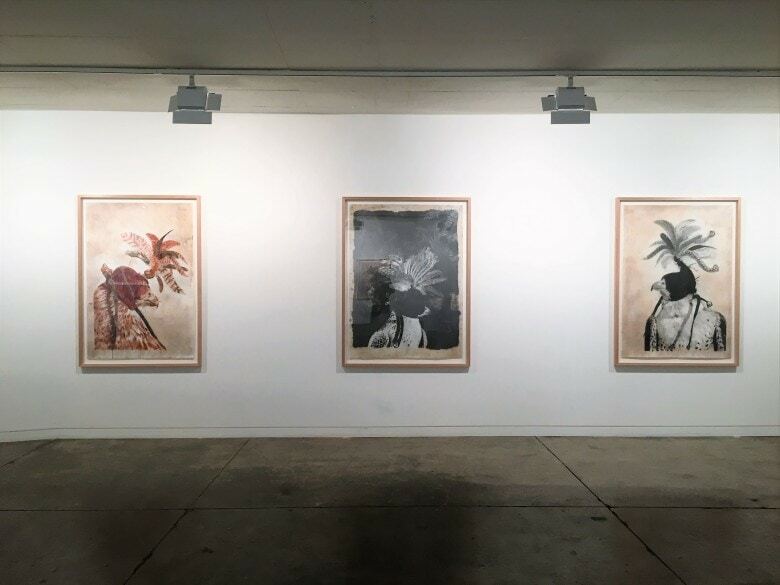 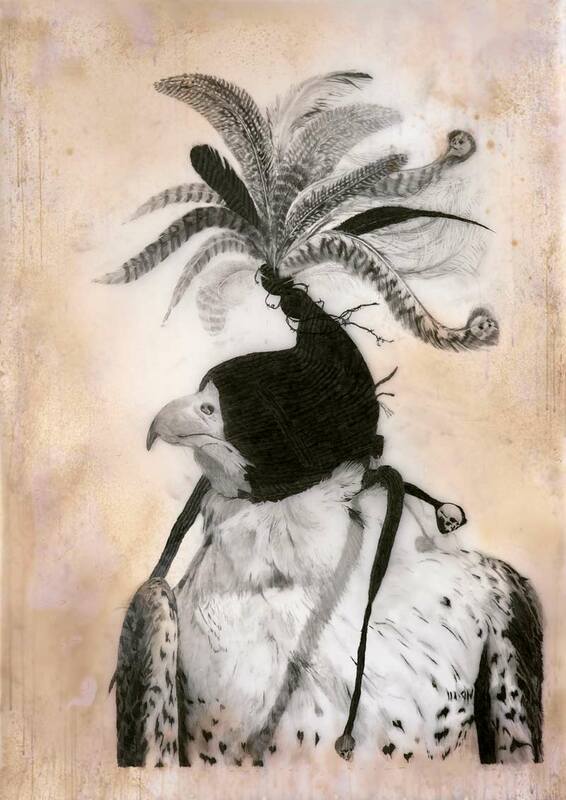 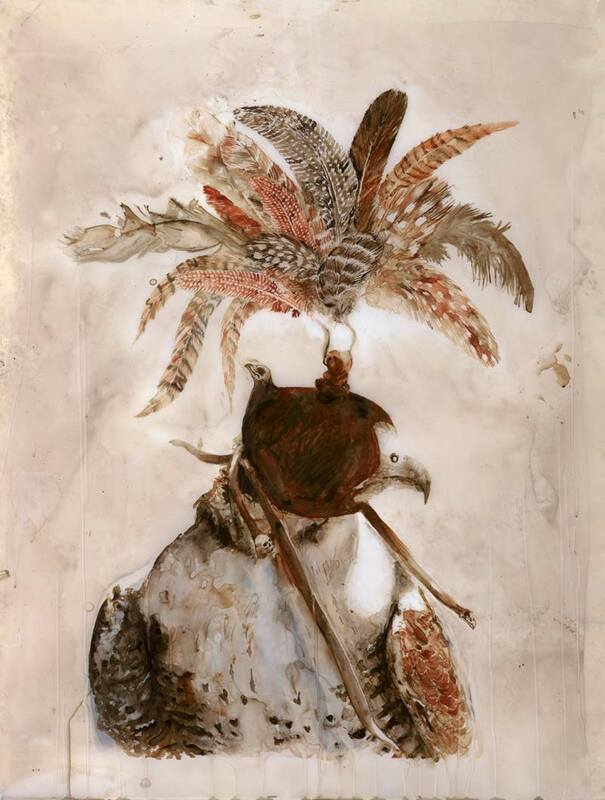 Poised between natural history illustration and ‘nature morte’, Martin King’s large drawings depict hooded raptors embellished with extravagant trimmings. 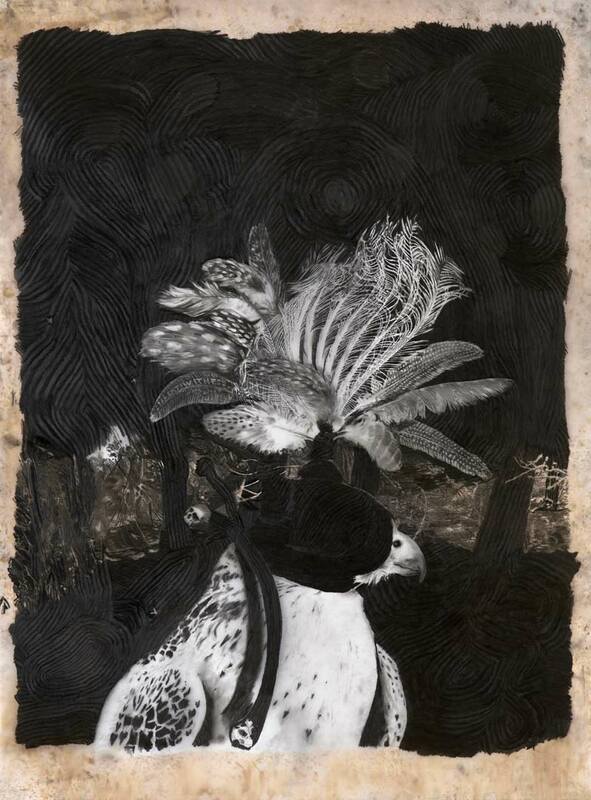 These disarming ‘portraits’ depict a way in which harnessing nature can be seen at once poetic and unsettling.